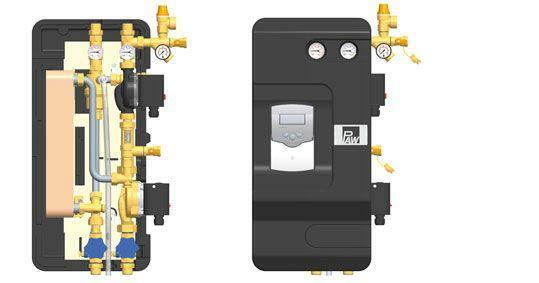 Our pre-engineered commercial solar water heaters use German Engineered PAW Solex pump stations. The Solex DWHX is the leader in commercial solar heating systems. The Solex Pump Station is UL certified for use in potable water applications and uses a brass secondary Wilo pump. The integrated large stainless steel heat exchanger transfers the heat energy produced by the solar system (Supply) to energy to be used by the heating application (Demand). The heat energy is then stored in a large insulated tank with 8" foam walls. When the Demand side requires heat the energy is then drawn from the storage tank and transferred to the Demand application. 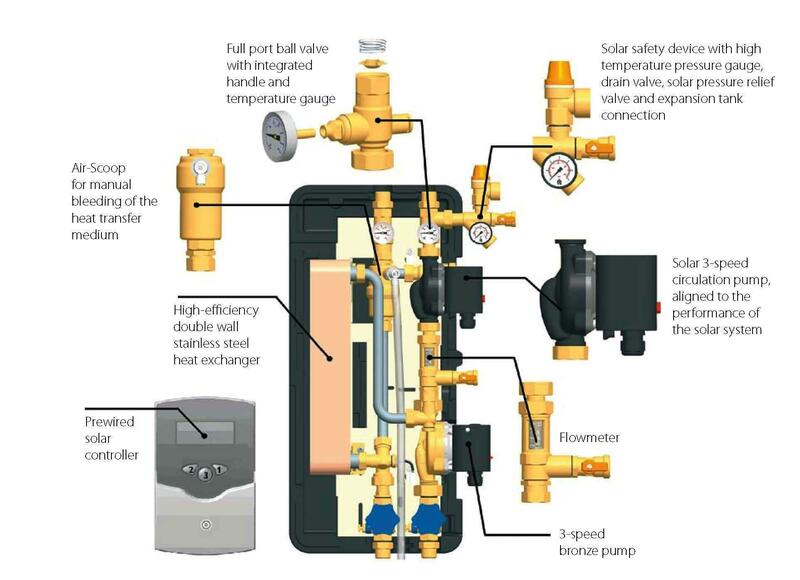 The Solex Pump Station has many built in features that reduce the installation time by 1/2 for any solar project.